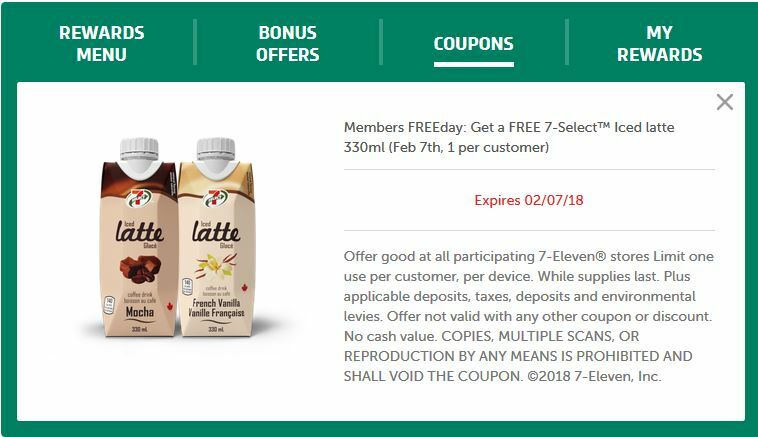 7-Eleven decided it is not chilly enough this week so they are offering a limited quantity of free 7-Select Iced Lattes today only. You must have a 7Rewards account to be eligible for this offer. Simply log into your app and find the coupon for a free 7-Select Iced Latte drink in your offers. This deal is valid one per customer and no purchase is necessary. This offer is only valid on 7-Select prepackaged Iced Lattes and not any iced drinks from the coffee counter. If you don’t have a 7-Rewards account, you can sign up here. They often have freebies, you earn points on purchases and can redeem them for coffee, Slurpees, cookies and more.